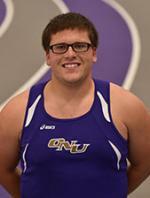 I Came to ONU Because: Of the Christian-based education and strong track team. Experience: Prepped at Anthony Wayne High School in Toledo, Ohio. Selected second-team all-league and all-district shot put and sixth-place regional shot put in 2013.